The Stonehenge and Avebury World Heritage Site offers lots of creative ways for students of all ages to learn both in and out of the classroom. English Heritage, National Trust, Wessex Archaeology, The Salisbury Museum and Wiltshire Museum all offer resources for learning and education and not just for history! English Heritage, National Trust, Wessex Archaeology, The Salisbury Museum and Wiltshire Museum all offer educational resources for those wishing to study aspects of the World Heritage Site. They work in partnership and meet regularly as the Stonehenge and Avebury Learning and Outreach Group (SALOG). Over the last few years they have worked together on initiatives such as a the Big Draw, Festival of Archaeology, a “Heritage on your Doorstep” Open Day at the Army Welfare Service Centre at Bulford Camp, joint social events for volunteers, volunteer recruitment events, offered training opportunities for PGCE students and CPD events for teachers in Wiltshire. 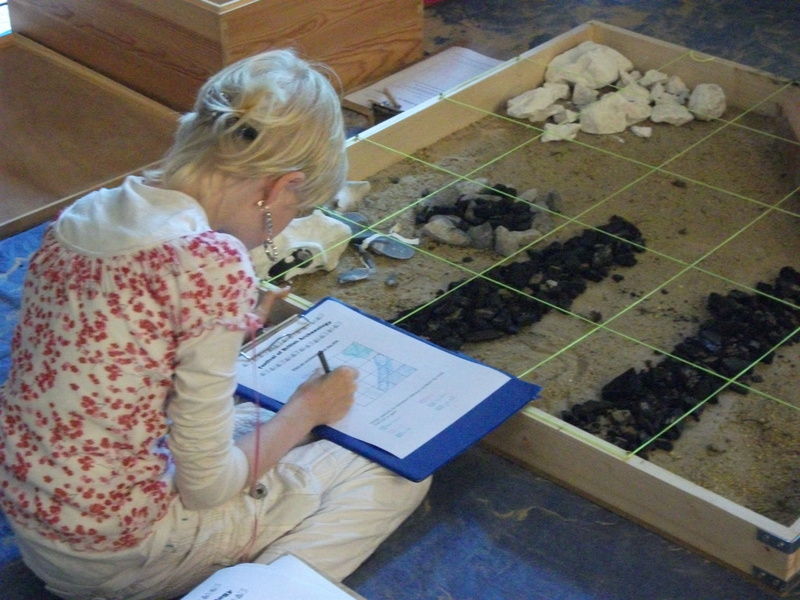 All our partners offer resources which can either help you learn about the Neolithic and Bronze Ages and Stonehenge either in the classroom or on a site visit. 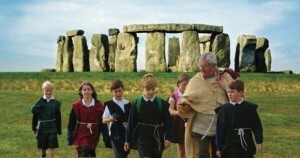 English Heritage offer free educational visits to all their properties, including Stonehenge. Why not book a Discovery Visit? Their Stones and Bones tour is delivered in partnership with the National Trust. Salisbury Museum provides resources for learning and holds an excellent collection of archaeological finds related to Stonehenge and the surrounding area in the new Wessex Gallery. English Heritage have produced a video to demonstrate how the Heritage Schools programme is supporting schools in delivering the new curriculum, through CPD sessions for clusters of schools across the country. This film focuses on a training day delivered for teachers from Bristol on ideas for teaching pre-history. Activity 7 What did I look like? Activity 8 What am I? At Avebury in June 2012 members of the Avebury Archaeological and Historical Research Group (AAHRG) volunteered to create the Avenue to Learning project in partnership with local teachers, the University of Cambridge, English Heritage, the National Trust, Wiltshire Council, local farmers and the Avebury and District Club. The project offered primary school children an inspirational day in an exciting outdoor classroom where they could put their geography, maths and science lessons into action. Working alongside professional archaeologists the children marked out the buried stone of the West Kennet Avenue using traditional surveying techniques and state of the art GPS equipment. In addition to an unparalleled learning experience their visit to the World Heritage Site left the children – in their own words – “over-whelmed”, “amazed”, “over-the-moon” and “flabbergasted”! The Wiltshire Museum in Devizes offer learning opportunities for all ages and hold a nationally important collection of archaeological finds. Their Gold in the Time of Stonehenge exhibition has a fantastic number of finds related to both Avebury and Stonehenge. Wessex Archaeology also provides information on how to use archaeology in the classroom and to enrich the learning experience of young people. Their resources page provides a great range of case studies, activities and photographs.